‘Three strangers meet in the middle of nowhere, in a Crossing Place far from the communications network of civilisation. In their meeting, the last untouched space is tarnished forever’. The first ever English-speaking production, based on poetry by Tomas Tranströmer, winner of the Nobel Prize in Literature. The Crossing Place is a fast-paced, visual and highly physical piece exploring loneliness, anxiety and desire. An abstract journey exploring the human’s relationship to nature, and himself, performed to Tranströmer’s poetry, and musical scores by Franz Schubert. 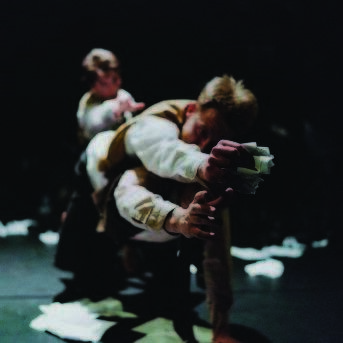 Devised in Tallinn, Estonia, by experimental theatre company Romantika.